Beverly Hills is one of the world’s most iconic neighborhoods. If you’ve ever wanted to live in a luxury neighborhood, chances are Beverly Hills is at the top of your list. With people all over the world flocking to this popular neighborhood every year, it’s no surprise that real estate’s most dazzling zip code, is also home to the some of the world’s wealthiest actors, directors, writers, entrepreneurs, and tycoons of industry. With incredibly luxurious homes situated within private gated communities, the neighborhood itself is as star-studded as the long list of celebrities who call Beverly Hills home. 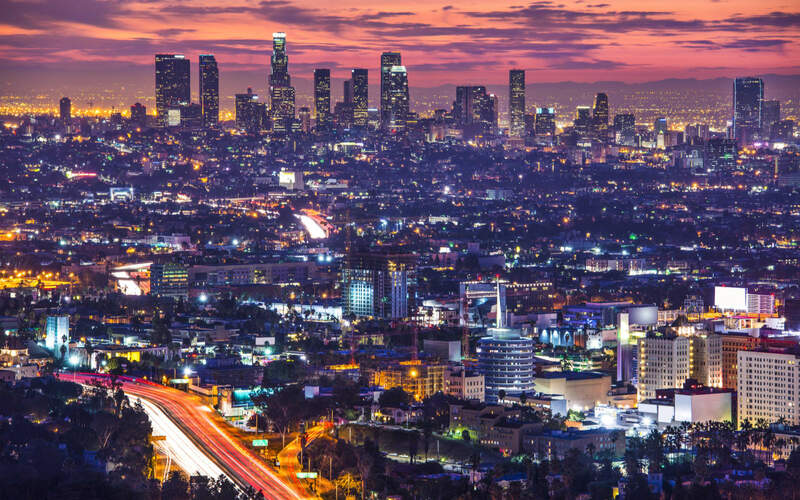 Some of the most attractive features of this neighborhood are the stunning views across the city of Los Angeles, and the premium shopping at world-famous upscale shopping mecca, Rodeo Drive. Despite being located within easy reach of downtown Los Angeles, Beverly Hills’ opulent residences offer privacy and seclusion in a picturesque location noted for its abundant green spaces. Tucked atop the majesty of the Hills, themselves, you’ll find that elaborate decor, and stunning architecture are mainstays of the surrounding area. Infinity pools are a must, among the lushious landscape, as the sights are truly breathtaking. This adds to the property value of anyone lucky enough to call this storied neighborhood home. The homes in Beverly Hills belong to some of the entertainment industry’s most celebrated names. Due to the coveted and competitive nature of the real estate industry here, prices retain their value, and historically speaking, are only going to rise. Part of this is due to the idyllic scenery that rivals even the most lavish of Hollywood sets. The homes themselves, range from extravagant, to charming, quaint, and elegant. However, many are situated on expansive lots with panoramic views across the Los Angeles basin. This makes it no surprise that Beverly Hills has been synonymous with luxury and elegance since the Golden Era of Hollywood cinema. Homes here feature incredible architecture exhibiting both classic refinement and cutting-edge modern design, with immaculate lawns and gardens including amenities such as outdoor pools and sports courts. Multiple entrances, movie theaters, bowling alleys, and decadent outdoor landscaping eccentricities are some of the hallmarks of this area. Within Beverly Hills’ iconic 90210 zip code and the four other zip codes associated with the neighborhood (90209, 90211, 90212 and 90213,) the median sales price over the past 12 months was $3,017,500, with an average price per square foot at $1,070. The important thing to remember is that the market in Beverly Hills is extremely competitive, and many owners get much more when selling than they originally paid for their homes, which makes it an ideal place for both investing in and owning property. The neighborhood is home to several different options for schooling, including both private and public schools. Parents can feel relieved to know that their luxury lifestyle, will be matched with well-ranked schools in the surrounding Beverly Hills area. Standouts include Beverly Hills High, Beverly Hills Vista Elementary, Canfield Avenue Elementary, and Hancock Park Elementary. In addition to public schools, families will have the option to send their children to accredited private schools with tuition prices and acceptance rates that range depending on the selected school. Beverly Hills, despite its glamour and prestige, actually gets its name from farmland. Many may be surprised to know that when oil company owners first found the land, they named it for Beverly Farms, in Massachusetts in response to the natural hills of the land. After belonging to Spanish settlers, and even the Tongva Native American tribe, the land was some of the richest and most fertile in southern California in the 18th, 19th, and 20th centuries. The first house was built in Beverly Hills 1907 by Burton Green. In 1912, the famous Beverly Hills Hotel opened. Shortly after the Hotel’s success, the city was incorporated as Beverly Hills in 1914, where it served as an epicenter of American culture in the 1920’s for famous Hollywood stars. Over the next fifty years the area began growing. In the 1950’s the Trousdale Estates were created and many famous celebrities moved into the area including: Elvis Presley, Ray Charles, Frank Sinatra, and even President Nixon. Today, thousands of people flock to see the lavish mansions and the Americana charm. 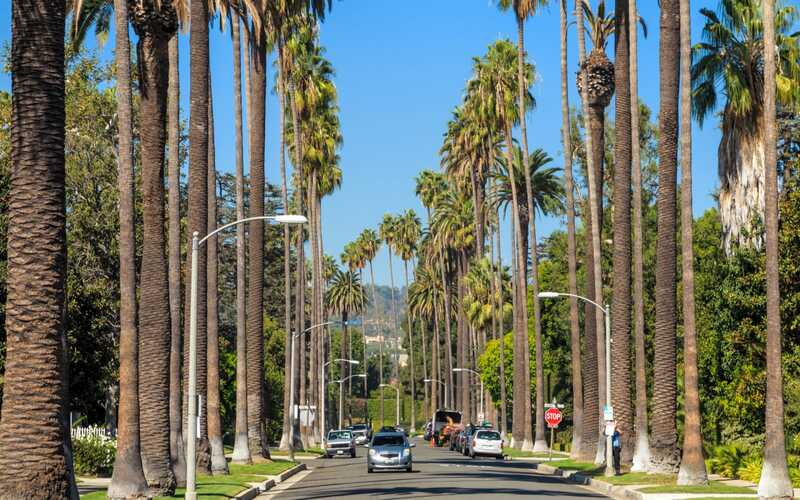 Beverly Hills has long been home to many of Hollywood’s biggest names, with legends of cinema ranging from Charlie Chaplin, Marilyn Monroe, and Marlon Brando to contemporary superstars including Brad Pitt and George Clooney, and Vera Wang. Beverly Hills continues to be one of the world’s most star-studded neighborhoods, with its unbeatable combination of secluded privacy on well maintained properties and the convenience of having fabulous first-class amenities close by including the Beverly Hills Country Club, which is noted for its excellent tennis facilities, and the upscale shops and restaurants of Rodeo Drive. There are several Michelin-starred restaurants situated among the high-end fashion stores of Rodeo Drive, offering the very best in fine dining to a clientele that frequently includes some of Hollywood’s most recognizable figures. Nightlife is prominent in Beverly Hills due to the great options in fine dining, shopping, and star-sighting. 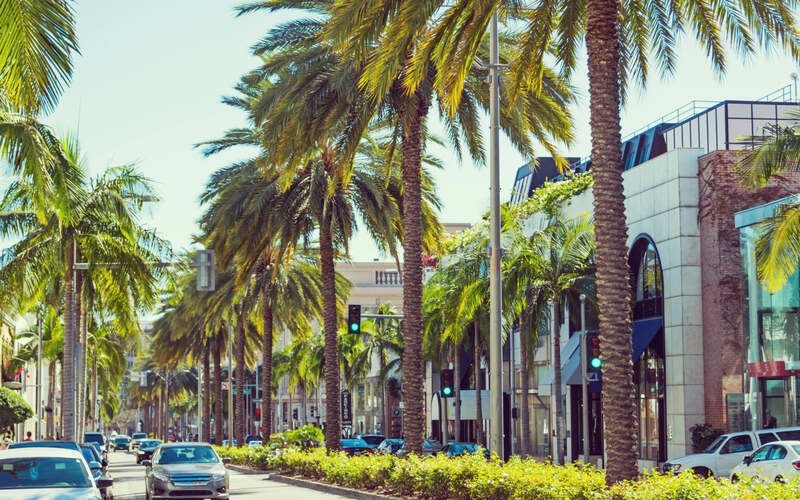 Beverly Hills isn’t too far from the ocean, making it an ideal living place for a great balance of family fun in the sun and extravagant nightlife. However, the secluded nature of the neighborhood makes it ideal for settling down with a nice glass of wine at the end of a long day and taking in the sunset on top of one of the world’s most ideal spots to watch a California sunset.